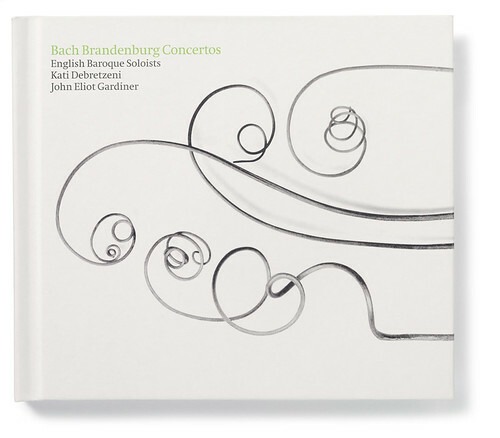 Below: Inside sleeve, Bach Brandenburg Concertos (Soli Deo Gloria). Design by David Hawkins, Untitled. Formed in 2001 by David Hawkins and Glenn Howard, Untitled’s first year was spent operating out of Glenn’s London home until the practice attracted a regular supply of clients, which triggered the move to their current Hoxton office. 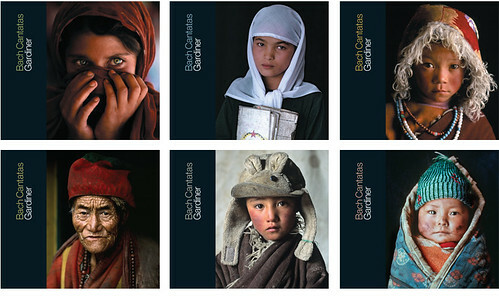 Approximately half their time is taken up with book publishing, with clients such as Martin Parr and the Design Museum. The remainder is spread between album covers (mainly classical) and identity programmes for architects: Untitled are now part of CABE’s small and exclusive roster of graphic designers. This isn’t Untitled’s first use of stock imagery. 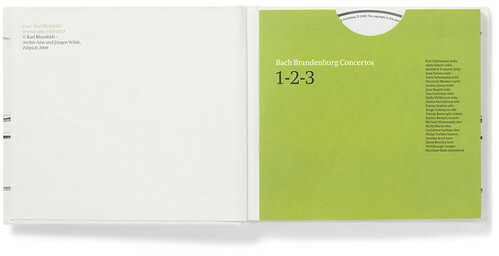 Previous projects include involving Magnum stock for an ongoing series of Bach’s church cantatas (below), for which a total of 24 releases are planned, and they expect to use more stock imagery for several upcoming music projects. Their choice of a Karl Blossfeldt image for this JAS joint winner is the result of a sympathetic response to the brief, and what they explain is a deliberate opposition to the familiar clichés of many classical album covers, which are often guilty of being confusing, text heavy and overly informative, with little or no relevance to the product’s core qualities. This also informed their decision to print on Munken Pure, and to send the Blossfeldt image to a repro house to be ‘brought up to today’s standards’. Both Hawkins and Howard place a strong emphasis on the collaborative efforts that have gone into the design, with special credit to Jeremy Hall (see Eye 39), technically the ‘middle man’ between themselves and their client, but an essential design partner in their eyes for his willingness to push and his understanding of what actually works. When discussing the finished piece, Howard succinctly sums up their winning entry by saying ‘I believe on a subconscious level the choice of image implies much more about the quality of the product than the text ever could’. 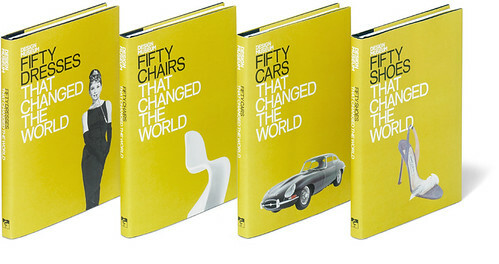 Below: The Fifty series (co-published by the Design Museum and Conran Octopus) takes different design disciplines and lists 50 examples that have made the most impact in the world of design today. Design by Untitled. 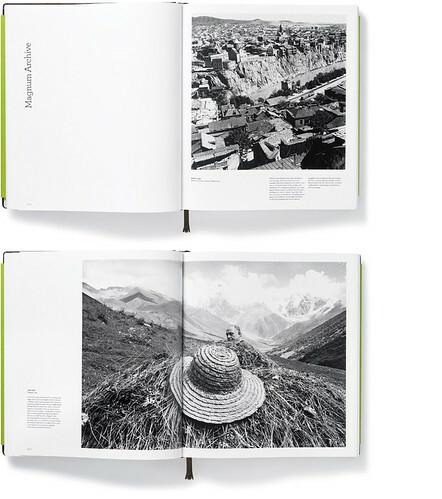 Below: Georgian Spring, a collaborative travel journal featuring the work of Magnum photographers who visited Georgia during Spring 2009. Design by Untitled.